The Sustainable Development Goals (SDGs), or Global Goals, represent the world’s collective vision for achieving a better planet for all by 2030. The SDGs were created by all countries coming together to decide the kind of world we want for ourselves and future generations. The Goals provide clear targets and timelines for ending extreme poverty, providing decent work for all, reversing the world’s environmental crises, and promoting equality and social justice. The SDGs provide the “what” and “why” of sustainable development, the Bootcamp is focused on the “how”. BCCIC understands transformational change as the alignment and integration of change at the personal, social, and systems levels. It has a strong focus on the inner aspect of change work – our individual and collective selves, identities, personalities, beliefs, patterns, dynamics, values and deepest motivations – as these are often ignored in traditional change work. By bringing together inner change with outer change work we believe there is potential for radical or transformational shifts that can move beyond incremental change or business as usual trajectories to create situations that are fundamentally different and better for those experiencing them. In order to do so the Bootcamp has a strong focus on developing awareness of ourselves, our group dynamics, and our system behaviors and roles. What is the SDG Bootcamp? The Bootcamp is not a theoretical course for learning about the SDGs, it is a practice focused course for working with the SDGs as a framework and communicating them to others in order to promote social change and a sustainable planet. The Bootcamp is not run by lecturers but by non-profit professionals who work with participants in an accompaniment approach with most training retreats taking place as part of actual BCCIC projects and programming and participants are associated with the organization itself while participating in the Bootcamp. The Bootcamp has a strong focus on public engagement and on developing the skills (e.g. public speaking skills) for effective communication and dialogue in order to foster action on the SDGs and SDG related issues. 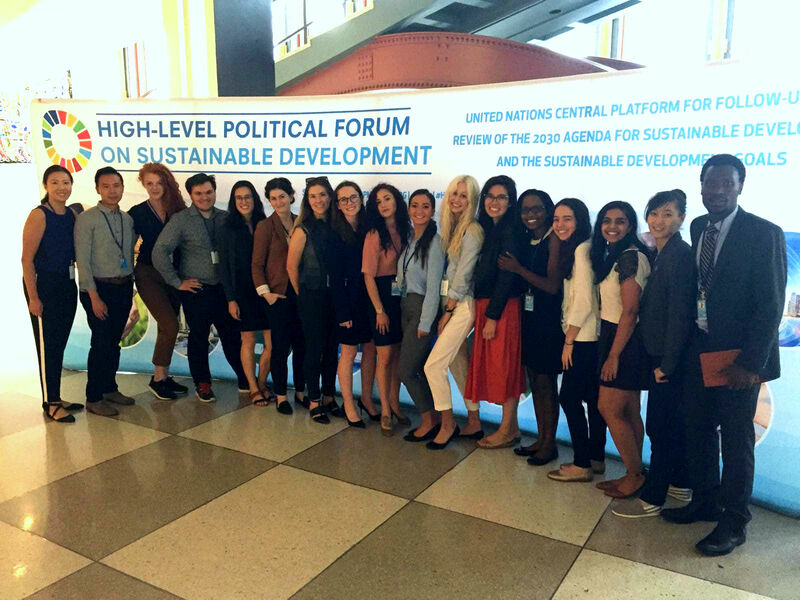 To learn more about the impact that last years Bootcampers had at the United Nations and during and after the Bootcamp check-out the HLPF Impact Report (below). We want young people who are curious and passionate about learning, and wish to work actively in their communities towards achieving the SDGs. As a transformational change course, the SDG Bootcamp requires an interest in exploring the role our inner world plays in our change work – our beliefs, emotions, values, identity, personal patterns and the way show up in groups and in systems. The Bootcamp is ideal for those who have a strong interest in the SDGs and SDG related issues such as sustainable development, social justice, environmentalism, global citizenship, and community engagement. The Bootcamp is also impact focused and requires putting what you learn into practice in your own work, initiatives and lives. For more information on whether you are a good fit for the Bootcamp check out these testimonials from past Bootcampers. Retreat 1 (Apr. 11 – 14) – Self as instrument: Understanding the SDGs as a framework and situating oneself and ones areas of interest within the SDGs. Exploring the opportunities that the SDG framework present for increasing your own and others impact in the realm of social change and sustainable development. Identifying the personal resources that you want to develop in order to be a more effective SDG change agent. 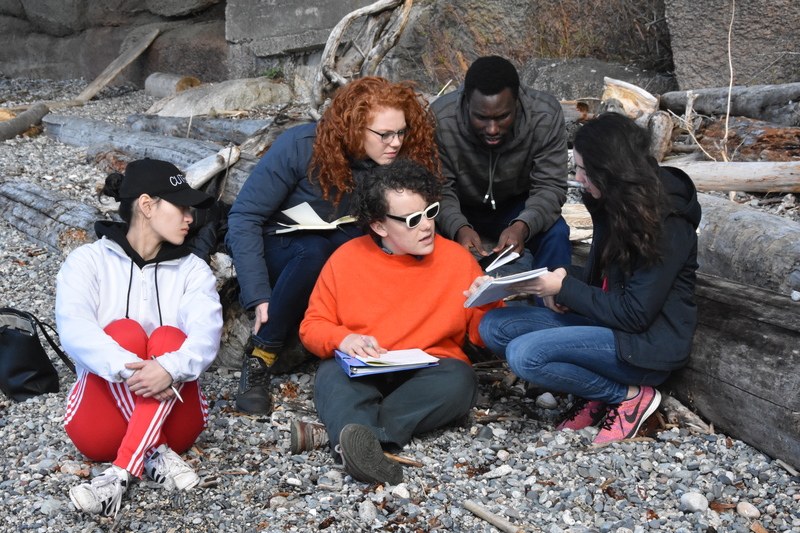 Retreat 2 (May 24 – 30) – Collective change: Understanding and working with group dynamics in order to develop highly effective SDG engagement teams. 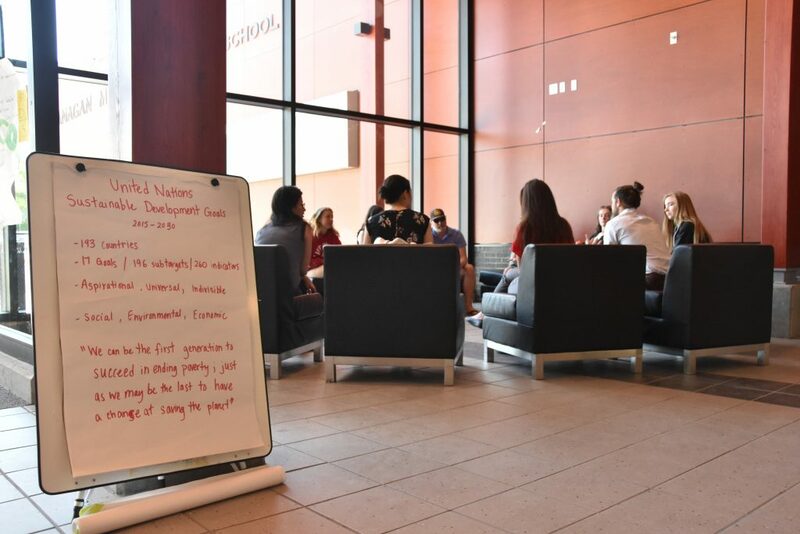 Developing interpersonal and communications skills in order to work with the multiple perspectives and approaches to change that the SDGs embody. Practicing community engagement, public speaking and group facilitation skills. This year’s second retreat will involve a 5 day community engagement roadtrip visiting communities throughout BC to facilitate discussions around the SDGs. Retreat 3 (July 12 – 18) – Systems change: Understanding how to work as and with systems in order to advance the SDGs. Working both on and as part of a system and dealing with system dynamics and structures e.g. working with gatekeepers, identifying allies, identifying systems change leverage points. This year’s third intensive retreat will involve travelling to the United Nations High Level Political Forum on the SDGs taking place in New York. 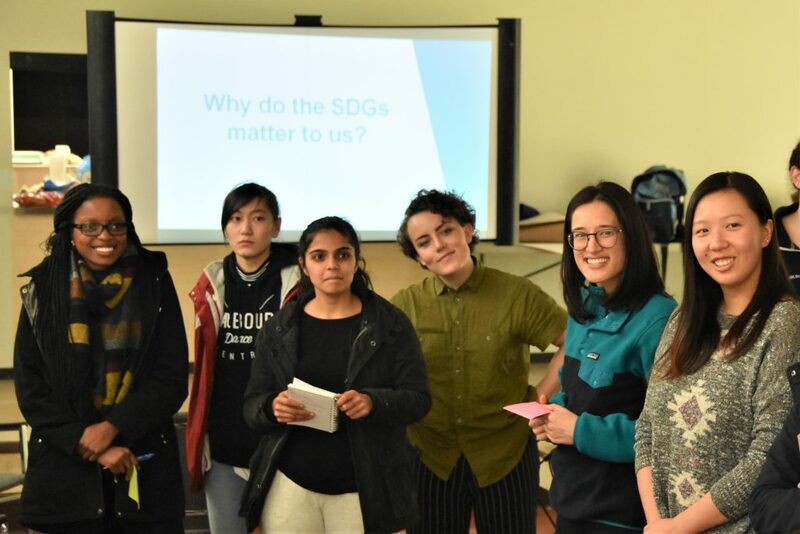 SDG Action Lab (Aug. 3) – Following the HLPF, Bootcamp participants will gather in Vancouver for a day long action lab that will involve action planning activities for their self-directed SDG engagement initiatives. The action lab will involve visioning and backcasting activities and will identify milestones and next steps. Through these three retreats and the action lab, participants will understand how they relate to the SDGs, how to work as a group to engage others on the SDGs and learn what communities think about them, and how to take the insights they have learned into a large scale policy ecosystem in the form of the United Nations’ HLPF. 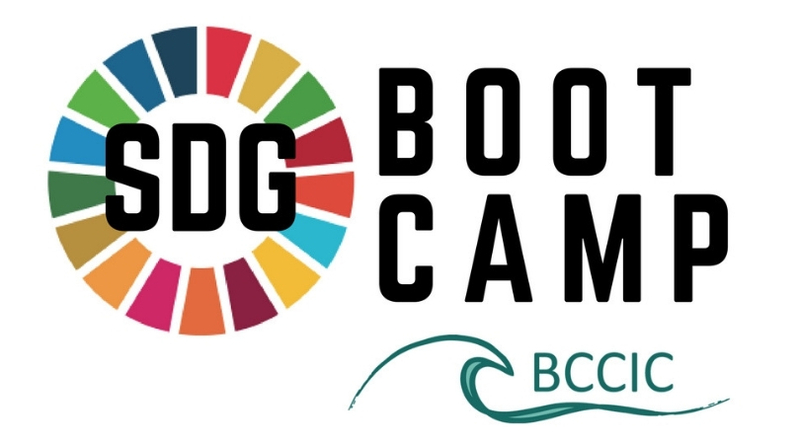 The SDG Bootcamp concludes with a practice phase from July 19 to the end of October where participants will design, lead or support SDG engagement initiatives in their own communities and throughout BC. The minimum time commitment for the course will be approximately 5 hours per week in addition to the retreats and action lab (18 days in total) over the 8 month period. Practice phase: Participant led SDG engagement initiatives – July 9 – October 31. BCCIC is striving to make this program as affordable and accessible as possible. With all costs included, the program is valued at $2200 per participant including travel, food and accommodation costs for retreats in BC as well as travel to New York for the HLPF. While BCCIC is able to cover a substantial portion of these costs, participants will still need to contribute $1300 to guarantee their enrollment in the Bootcamp. BCCIC will continue to seek funding in order to lower these costs but priority will be given to applicants that indicate that they are able to cover the $1300 contribution in full. Applicants who are not able to cover the full contribution are still welcome to apply and can indicate how much they are able to contribute in the application form. Final payment for attending the SDG Bootcamp must be made by June 28. The deadline to apply is February 15 @ 5pm. All successful candidates will be notified by February 22 at the latest.